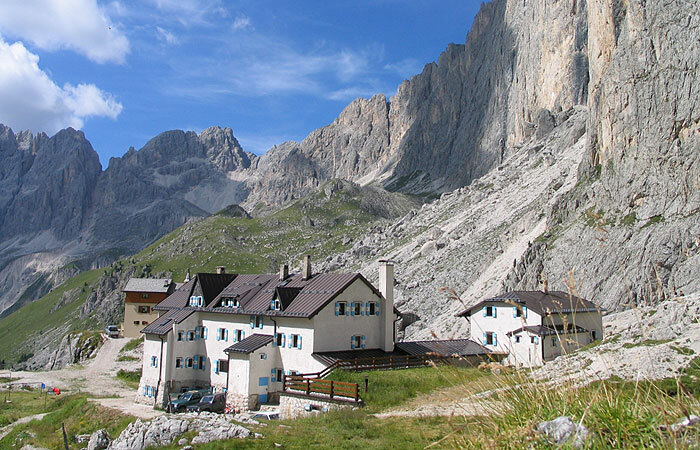 The Refuge is located in the area of the Catinaccio below the Vajolet Towers and at the centre of numerous walks, excursions and vie ferrate. 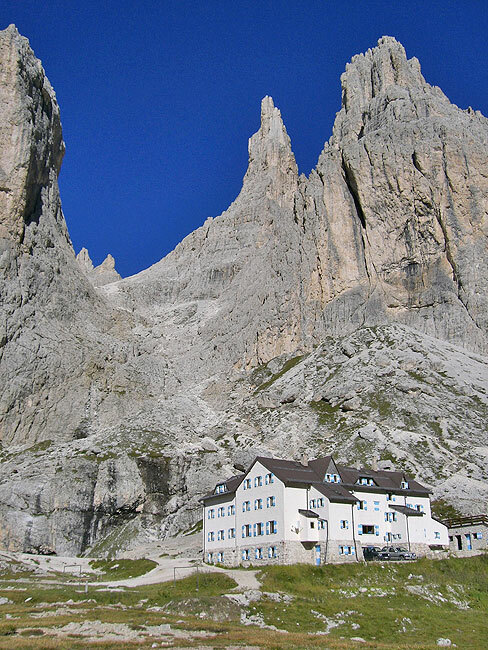 Numerous climbs of varying difficulties (East wall of the Catinaccio, Punta Emma and Vajolet Towers) are possible. 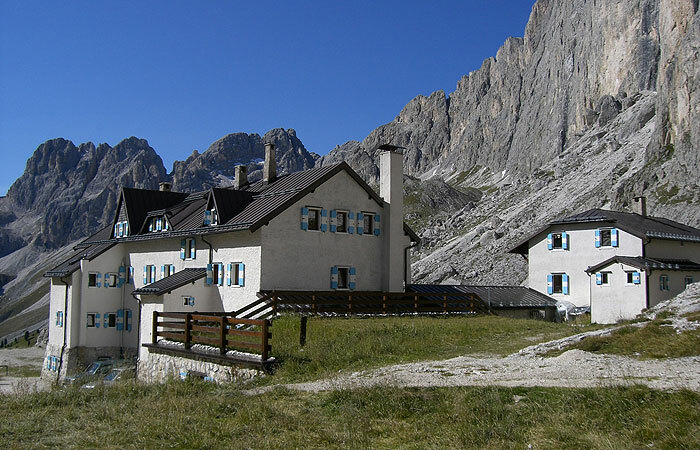 The Refuge can be reached from Pera di Fassa with a minibus service to the Gardeccia Refuge, an hour of walk from the Vajolet Refuge. 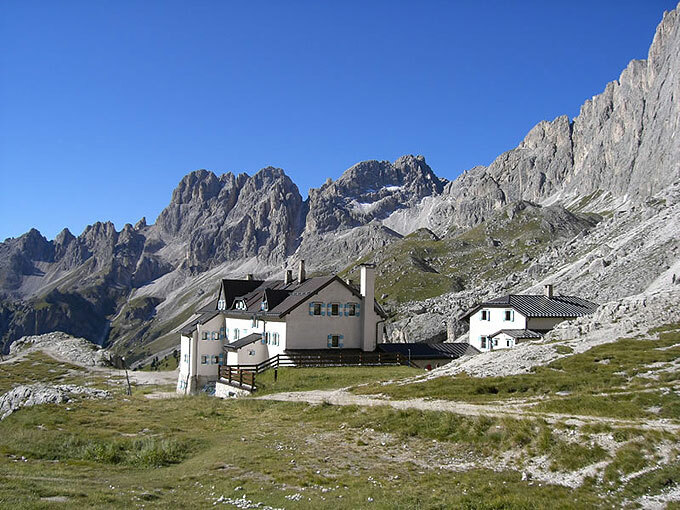 With a chair lift from Pera to Pian Pecei you reach the Gardeccia Refuge in 30 minutes and continuing on the same road you come to our Refuge. 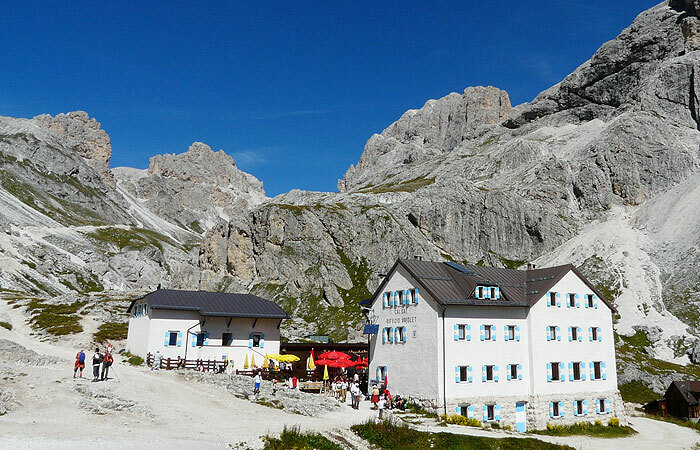 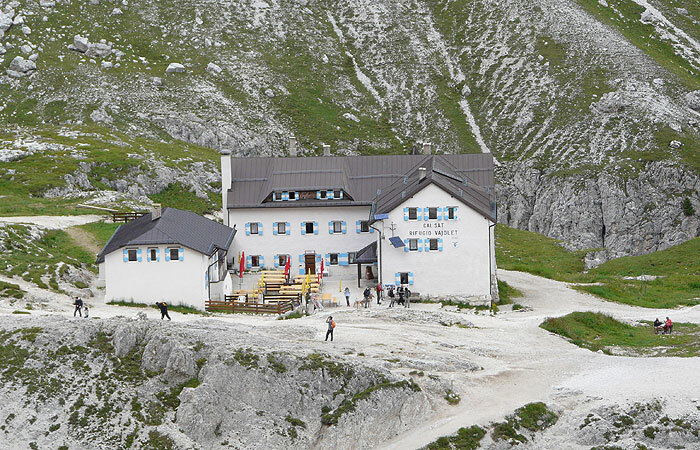 With the Catinaccio cableway from Vigo di Fassa to the Ciampedie, the Refuge is reachable in an hour and a half.